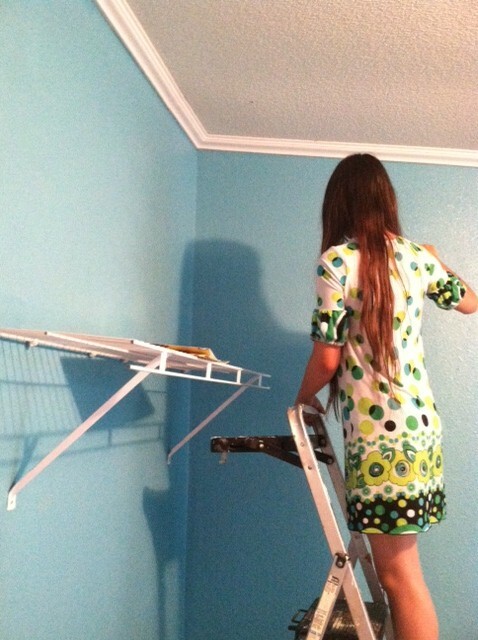 We've been working our little backsides off the past few days, and have accomplished quite a lot on my daughter's room. We've painted, moved furniture, scrubbed carpet, hung pictures. 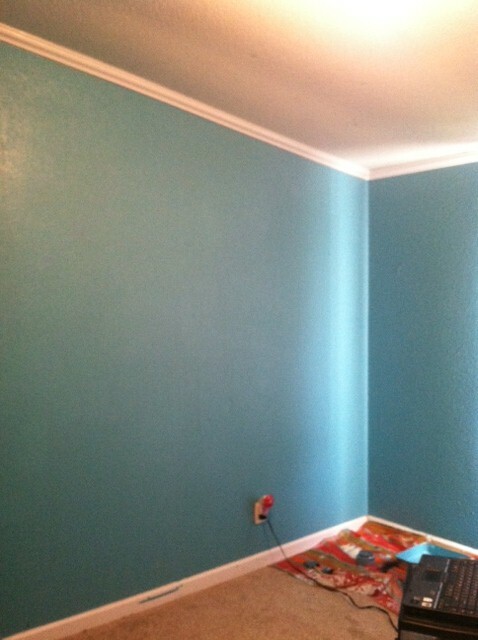 As you can see, in spite of our careful taping, some blue got on the white trim. Ugh! I hate that!! But we didn't have too many incidents like that fortunately. My next project involves this quite ugly shelf. I'm going to paint it white, and add some gingerbread trim on the top. 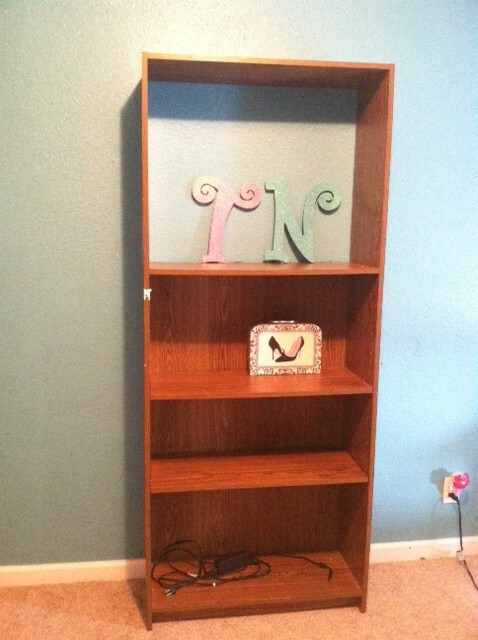 She'll put her tv on the top shelf, then she can use the bottom shelves to store dvds, books, etc. I also bought a dresser and desk that need to be painted, so several more days of work ahead. I'm looking forward to it. :) I so enjoy creating a beautiful space. I will have many more details to share in the near future. Stay tuned! Thank you for stopping by! It is my passion to find joy in all of the small details of life, and I'm looking forward to sharing those things with you. My name is Teresa. I've been married for many years to an amazing man, and am Mom to five children. Four are grown and making their way in the world. One still in the nest. I firmly believe that it doesn't take a big bank account, a big house, fancy trips or expensive cars to make up a happy life. Joy is found in the moments. The little details that can make up a big, joyful, fulfilling life! I love to create, decorate, cook, bargain shop... I love taking something ordinary and transforming it into something extraordinary. I like to sit on my porch swing, sipping my coffee and enjoying a beautiful day. I love to laugh, and sometimes I like to think deep, serious thoughts. Join me here and we will celebrate all of these things that make up a beautiful life. See My Designs on Insta!